Participate in senior small-group seminars designed to deepen your knowledge and enhance your research skills. Develop leadership and professional skills in training and development workshops offered across campus, including Laurier’s nationally acclaimed ASPIRE program. 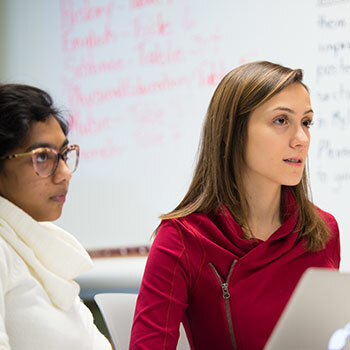 Benefit from mentoring throughout your entire undergraduate degree from current graduate students and faculty; learn from their experiences and be ready to succeed in the graduate program. Admissions range of high 80s. SL or HL English at 4.